I had been planning to make some focacce for a long time after I bought some sfrizzoli in a market in the surrounds of Rome a few months ago. Sfrizzoli are completely unknown to me nor to my husband. I was just wondering out loud what they were and the vendor suddenly appeared and practically shoved a a few handfuls to a paper bag while explaining what they were and what to do with them. Uhhhmm, is that bag for me? They are chunks of fried pork fat that remained after making the lard. Cholesterol bombs! Oh God, please don't let our cardiologist get angry with us. 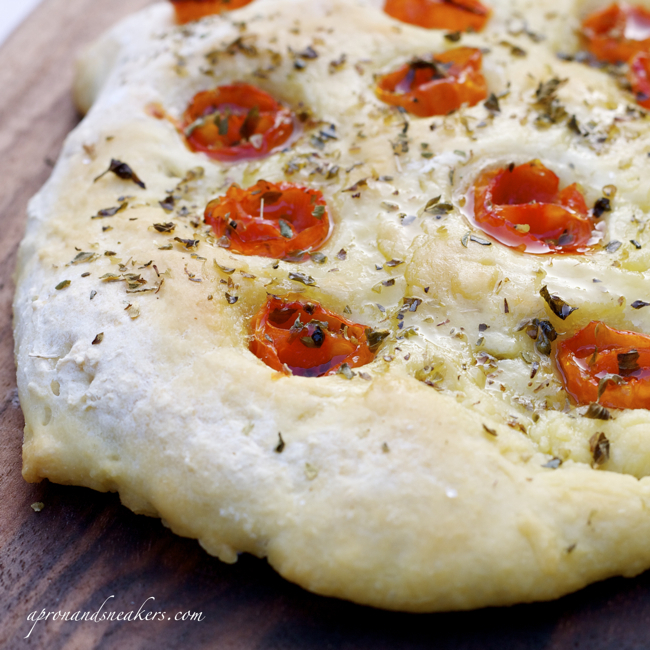 He explained to me to just cook a few with the focaccia and they will just melt naturally and the taste is marvelous. I believed him. My husband believed him. And I tried to shove away the image of our doctor shaking his head and mouthing the word, "NO". So, finally, I was mixing, kneading, and getting all floured up with my weekend natural powder on. 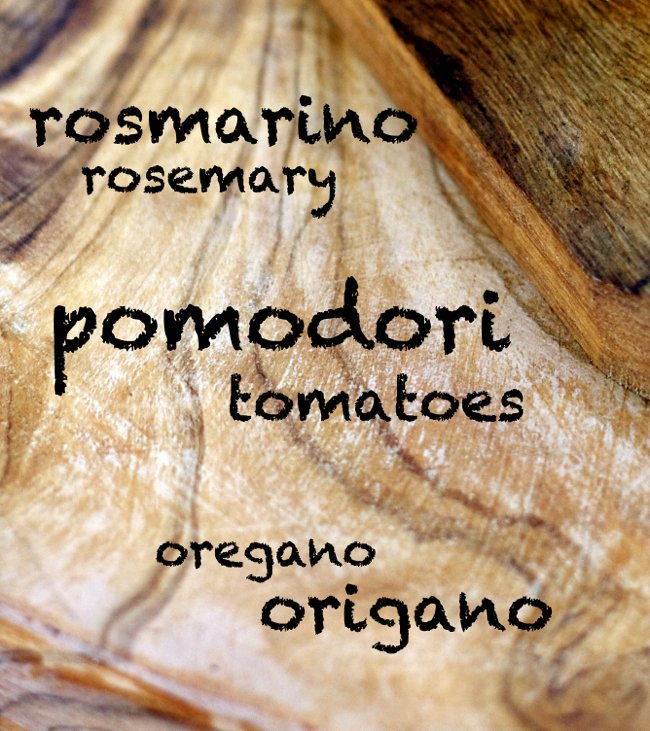 The focaccia al rosmarino and focaccia con pomodori e origano were in the oven cooking nicely. When I did a 360 degree turn in my kitchen, I went back looking at the focacce in the oven and tried to forget what I just saw and needed to tackle. God, there was flour everywhere and so many bowls and knick-knacks to rinse and put in the dishwasher. It's the part that I hate confronting. I opened the fridge. Gasp. You know the feeling when you disassemble something complicated and you shout with triumph when you have finally closed it.... and you see a singular, innocent looking screw beside you? The sfrizzoli are still in the fridge. I forgot to put them in the focacce. Sigh. 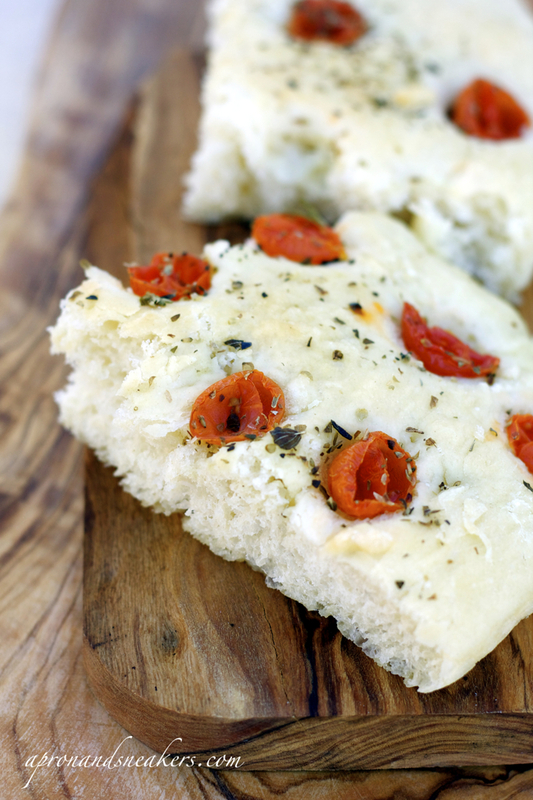 The traditional focaccia recipe of Giallo Zafferano doesn't use sfrizzoli. I just wanted to try it according to what the vendor was advising me to do. They will just have to wait again until I do another round of focacce or if I find another recipe that uses them. The doctor scored a point. Crumble the yeast in a small bowl. Add the sugar, a little bit of lukewarm water, about 1/2 a cup, from the 350 ml. Mix well until the yeast melts. Mix the ingredients very well until the dough becomes smooth, elastic and a little bit sticky. If the dough is too sticky to work with, add some flour (the less, the better) until you have a ball. Make sure it doesn't become too dry with too much flour. While waiting for the dough to rise, prepare the tomatoes. Cut them all in half. Squeeze them lightly to send out the seeds. Set aside. After the dough rises, transfer it on a well-oiled baking pan (the size of the oven pan) and flatten it with your hands. The thickness should arrive at 1 cm. If you wish to make two kinds, divide the dough in the middle by just giving a little space to segregate. 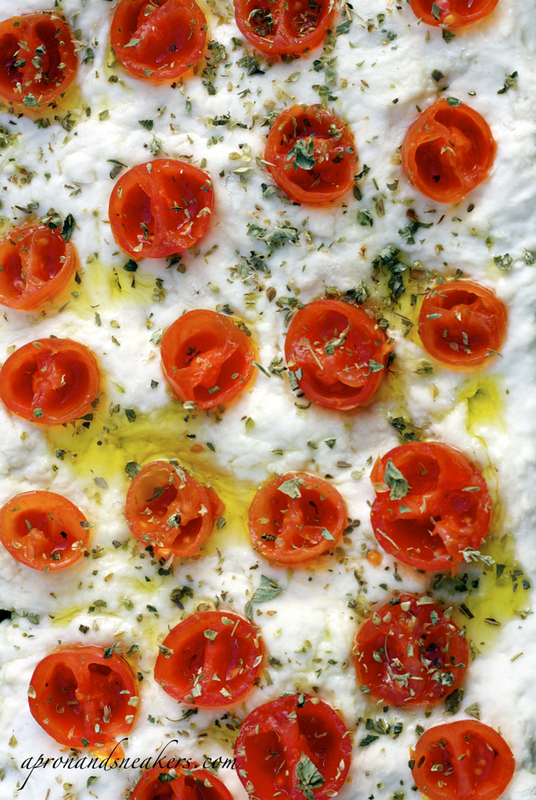 In one focaccia, put the halved & seeded tomatoes on the dough with the flat part up. Push them lightly on the dough. Sprinkle with dried oregano. Sprinkle some salt. Drizzle with extra virgin olive oil. 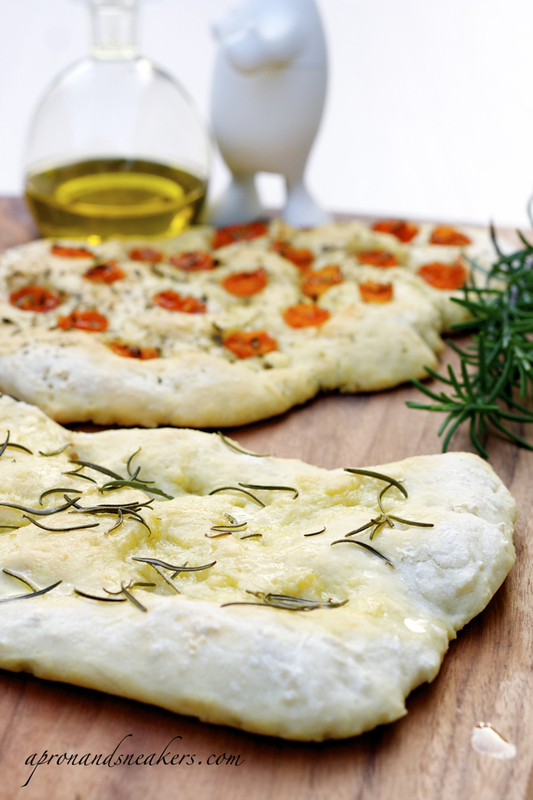 In the other focaccia, scatter the rosemary leaves on top, sprinkle with salt and drizzle with extra virgin olive oil. Let it rise again in a warm, draft-free place for half an hour. Bake in a pre-heated oven at 190 degrees Celsius for 20-30 minutes.